A fully featured adventure touring jacket built to withstand extreme weather and riding conditions, the Revenant incorporates an advanced GORE- TEX® fabric construction for breathability, water and windproof protection. With the ability to add Alpinestars’ class-leading Tech-Air™ airbag system, the Revenant’s protective features provide peace-of-mind confidence, leaving the serious tour rider to enjoy the journey. Multi-material, multi-panel main shell construction designed and developed to provide optimum levels of comfort and performance for adventure touring. 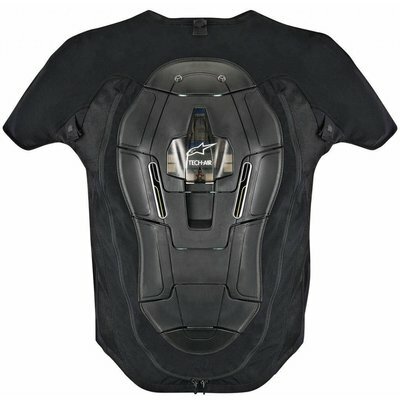 Compatible with Alpinestars’ class-leading Tech-Air airbag system. The garment is designed with stretch zones on the rear to accommodate the airbag’s inflated volume without compromising seams or materials. The garment’s ergonomic design and adjustments means that it can be worn without the airbag system for a personalized fit. Internal fixings plus cable conduits in order to seamlessly accommodate airbag system. Features GORE-TEX® Pro Shell three-layer construction incorporating a special high performance GORE-TEX® membrane, bonded to a strong outer material and a durable inner lining, ensuring a thin, reduced material construction with no movement between the three layers, which promotes greater durability. Strategically positioned Armacor® reinforcements on shoulder, elbow and upper back for durability and comfort. Armacor®’s advanced material construction means it is water and windproof while allowing high levels of moisture management. Chest and back pad compartments with advanced poly-foam padding (CE certified Nucleon chest pads available as accessory upgrade). Durable aramid reinforcement on elbows incorporate PU print texturing inserts for increased abrasion resistance. 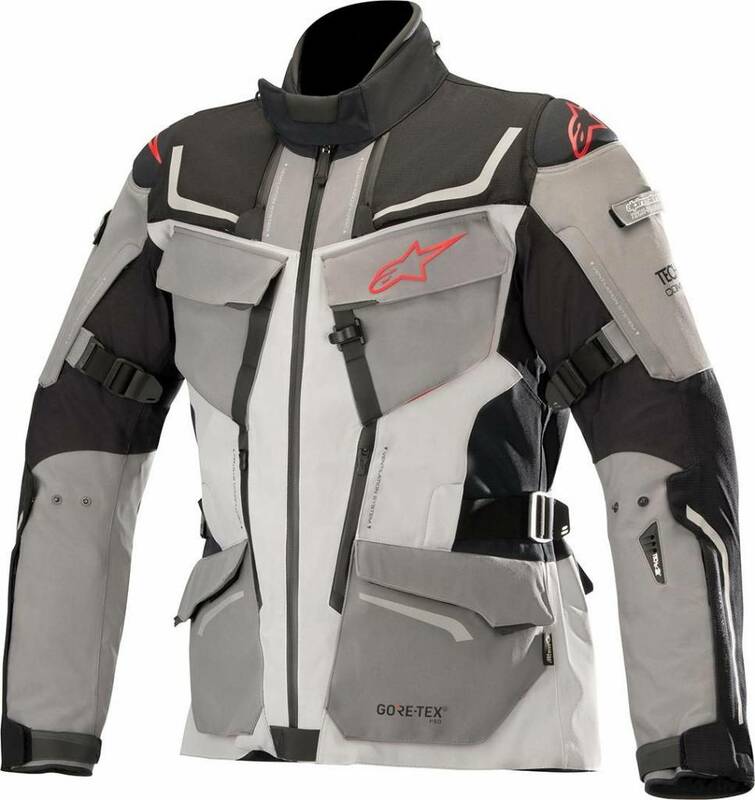 Advanced ventilation system comprised of multi-air intakes on front and exhaust ports on rear for the highest level of cooling airflow of any Alpinestars touring jacket. Strategically positioned stretch paneling provides optimized all-round fit. Hook and loop grip closure wrist, waist and sleeve adjusters allow for highly personalized fit and helps ensure garment and its protection stay close to the body in the event of a slide. Sleeve adjustment system allows for reduced material bunching for comfort and safety. Multi-storage system comprising of front and chest pockets and rear lumbar compartment for convenience. Incorporates a hydration back pocket and conduits to allow integration of camel pack as an accessory upgrade. Reflective print detailing to improve night/poor light visibility of the rider. Rear utility pocket is removable for convenience.